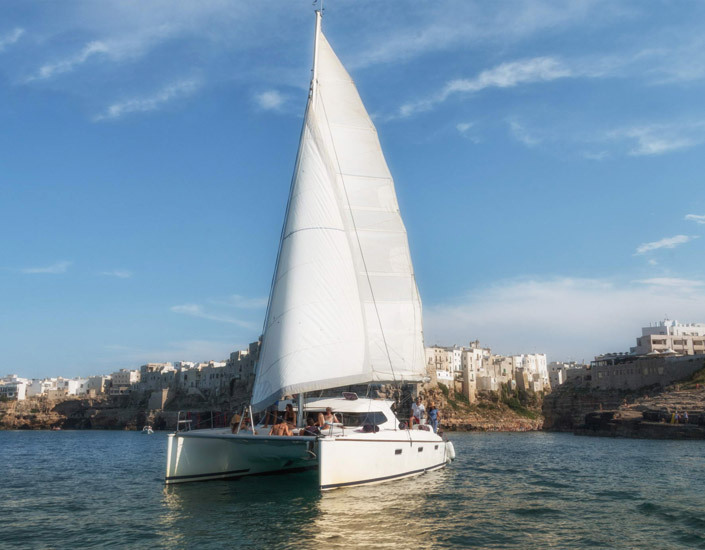 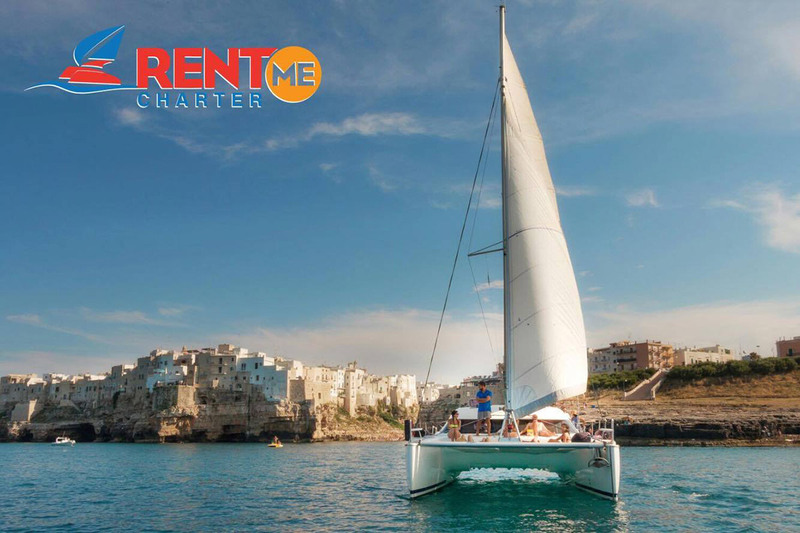 Live the unique experience of a boat trip between Polignano a Mare and Monopoli on a modern and comfortable sailing catamaran, our Nautitech 40 “Same Same”. 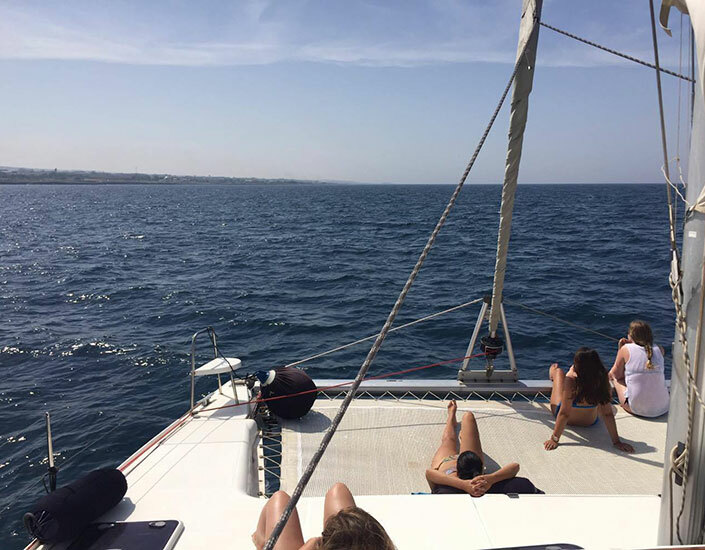 Cut loose and relax, hear the water running under the net. 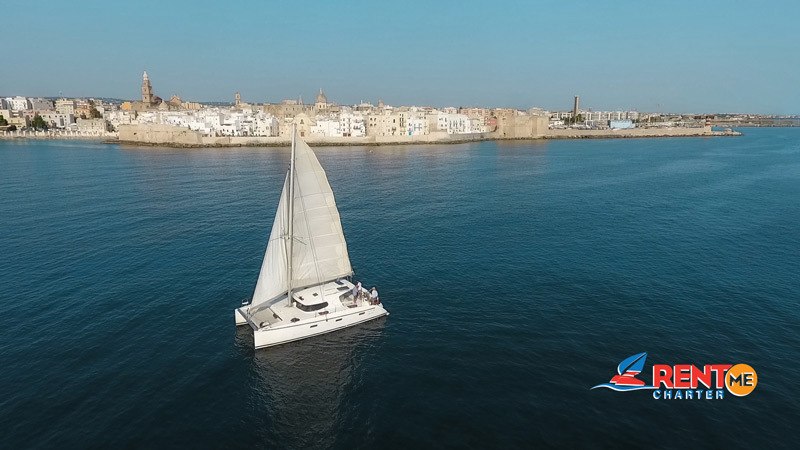 We’ll guide you to discovery of the amazing coast of Polignano, full of grottos and caves that have been created by the sea over millennia. 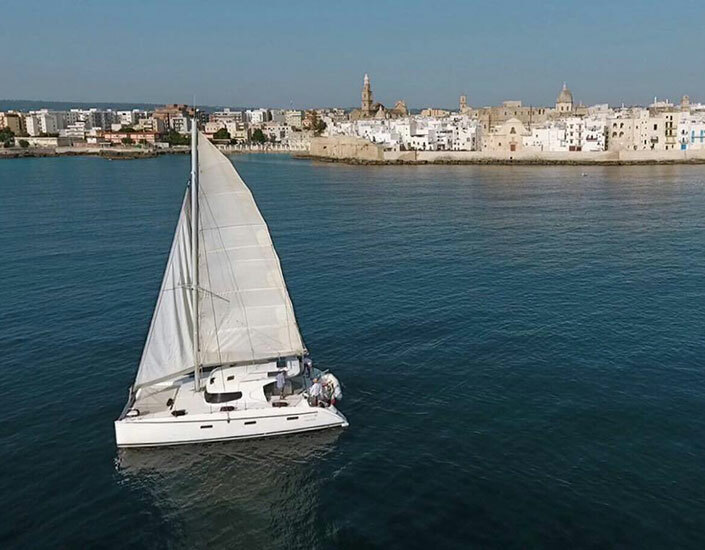 The south coast of Monopoli is precious as well with the old town of Monopoli, the Castle of Santo Stefano, the "Calette", little spots with pristine water and the beaches of Capitolo. 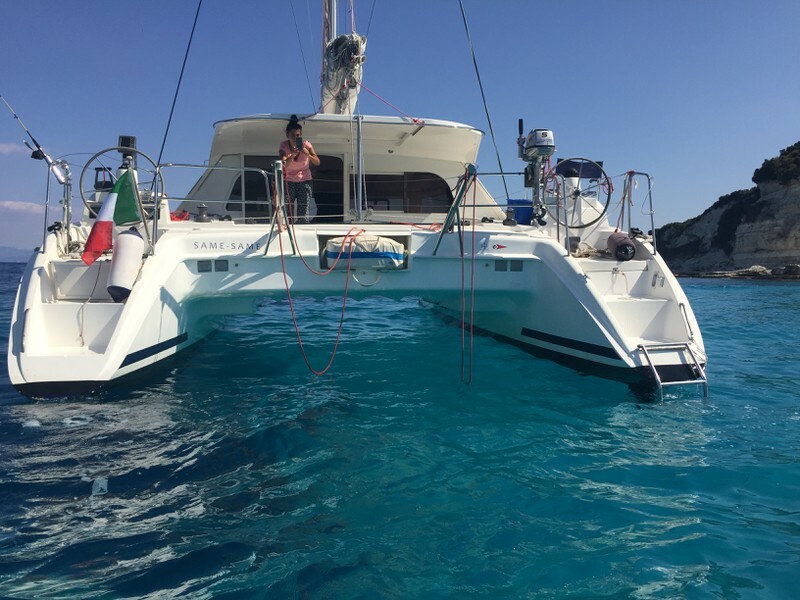 We will be able to stop off for a swimming break and an “aperitivo” of local snacks and a chilled bottle of Prosecco or Spritz that will be served on board. 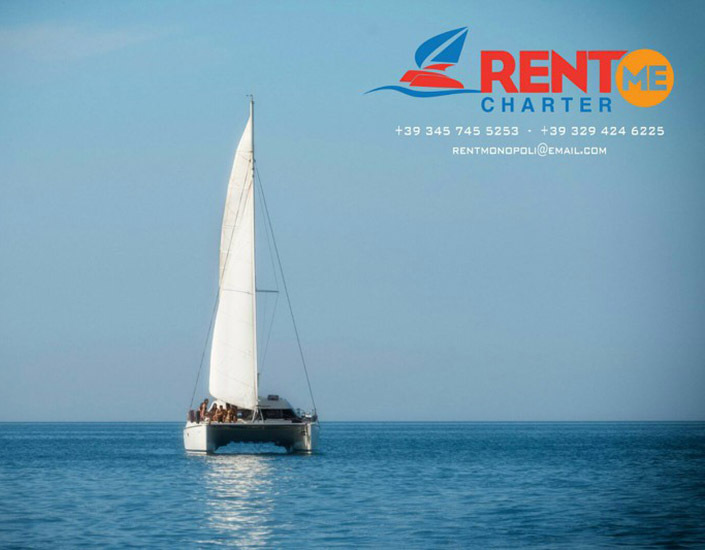 We do boat trips with departure from Monopoli for half day or full day with lunch on board to share with other guests or privately. 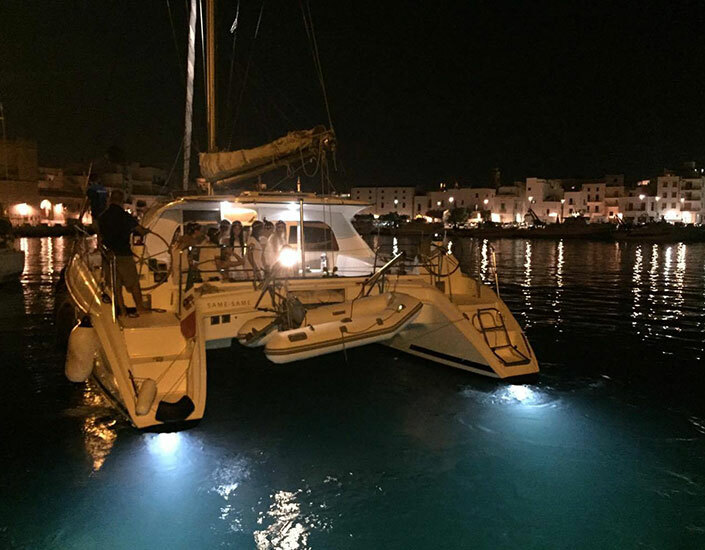 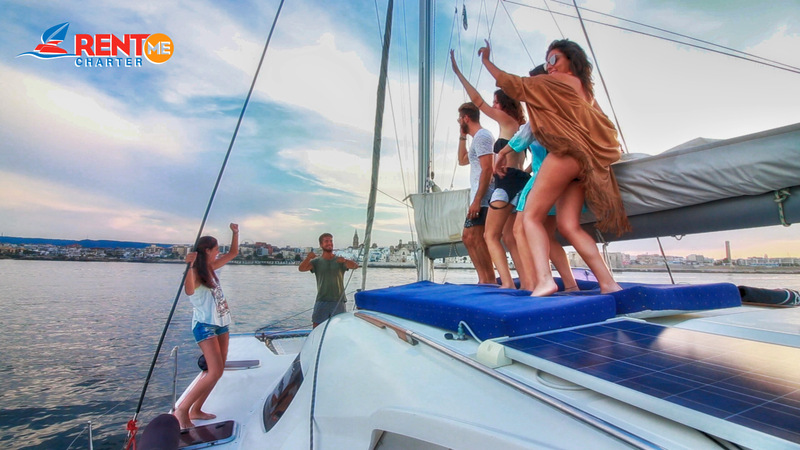 Don’t miss the opportunity to have a private party on board of “Same Same”, dancing in the cockpit, dip in the water from the bow and have a nice cocktail! 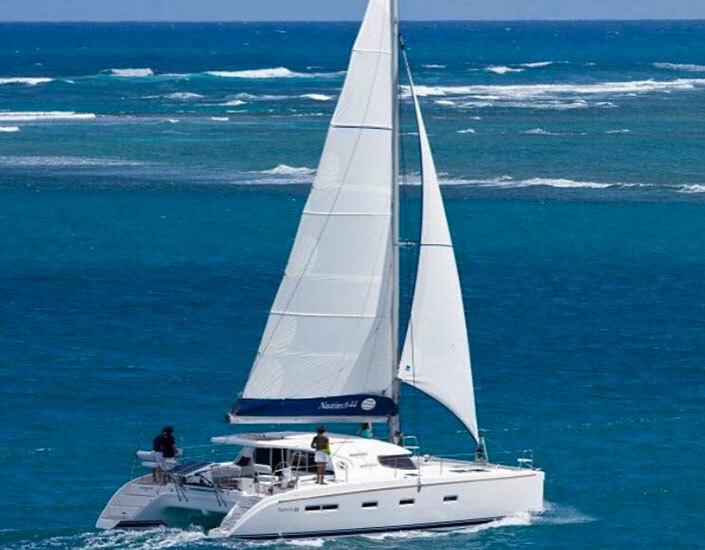 Nautitech – Bavaria, based in France, is one of the most important builders of catamaran in the world. 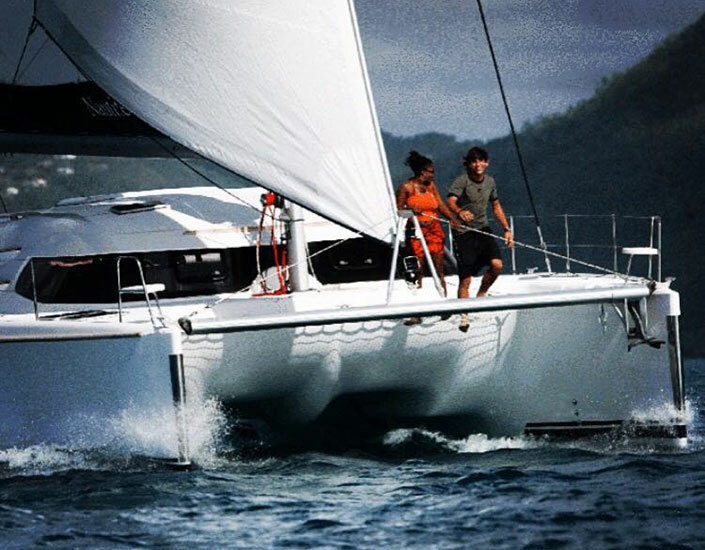 Renowned throughout the industry for their superior sea going qualities, simplistic maintenance and everyday ease of use, the new range of Nautitech is all this and so much more. 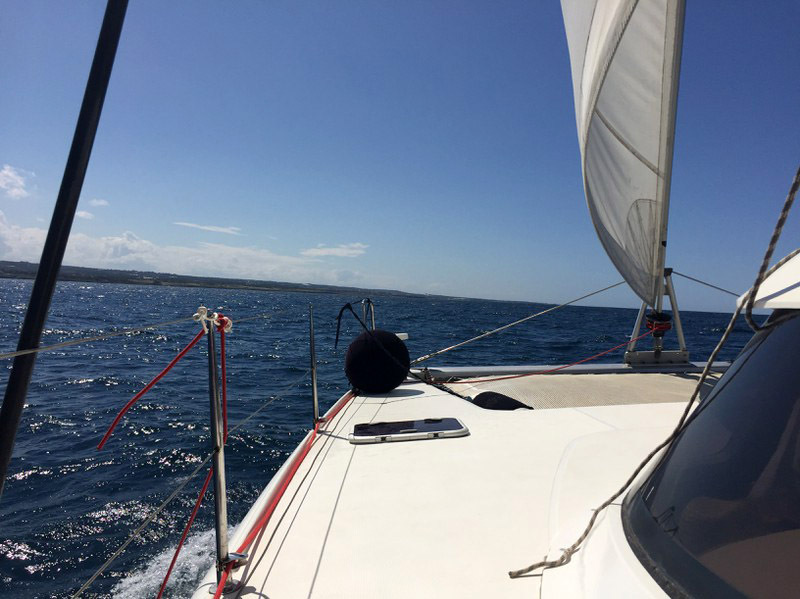 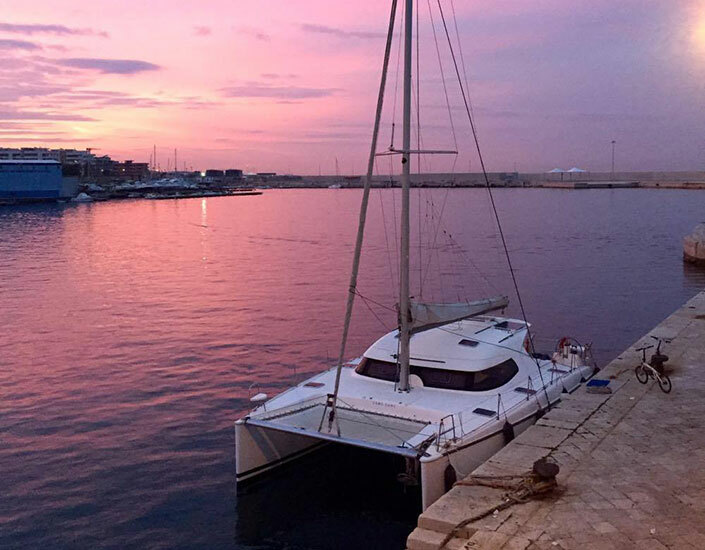 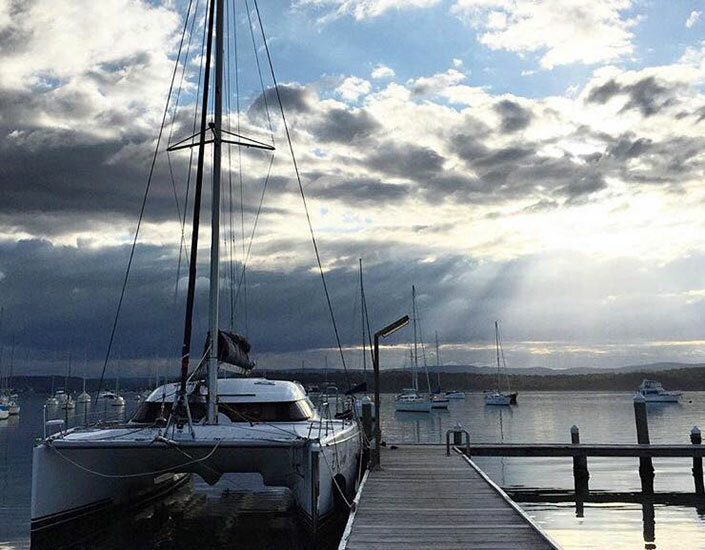 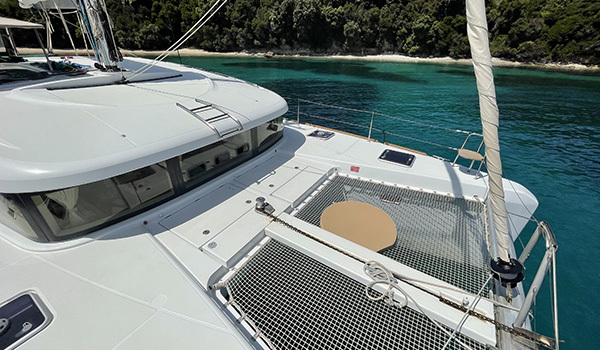 The Nautitech 40 has earned its reputation as a sailors catamaran, delivering sailing performance without compromising the comforts expected from a 40ft Catamaran when at anchor. 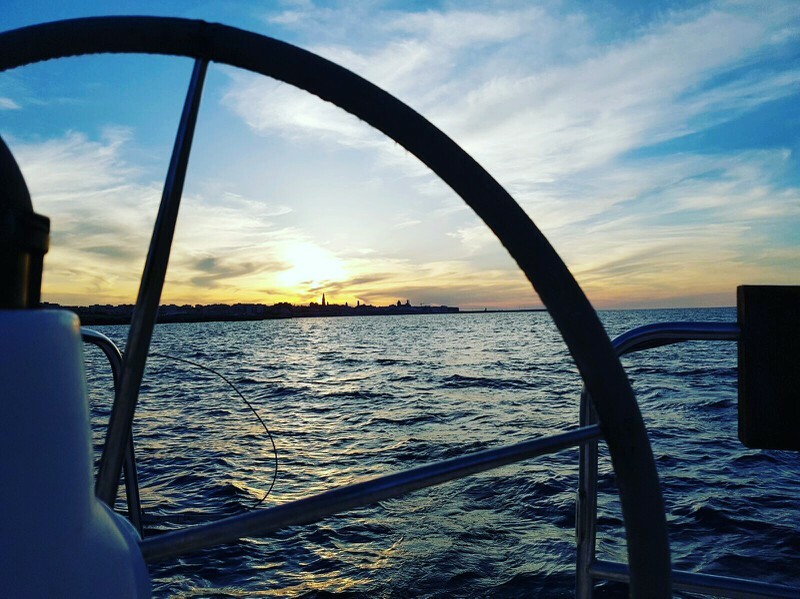 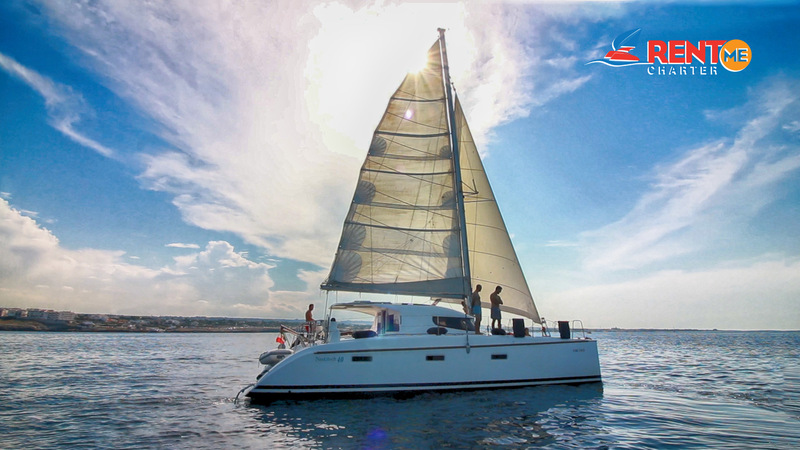 The unique twin steering stations gives you the "wind in the face feel" and clear forward view of a keelboat and a great unobstructed view of the sails for those who just love to trim. 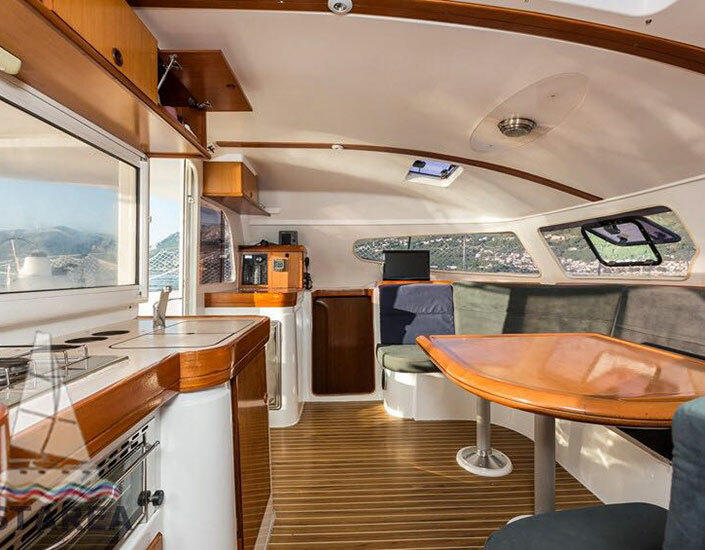 From the redesigned cockpit area with its panoramic views to the extended cabin roof, all users will find that "something extra" when viewing this Nautitech 40 catamaran. 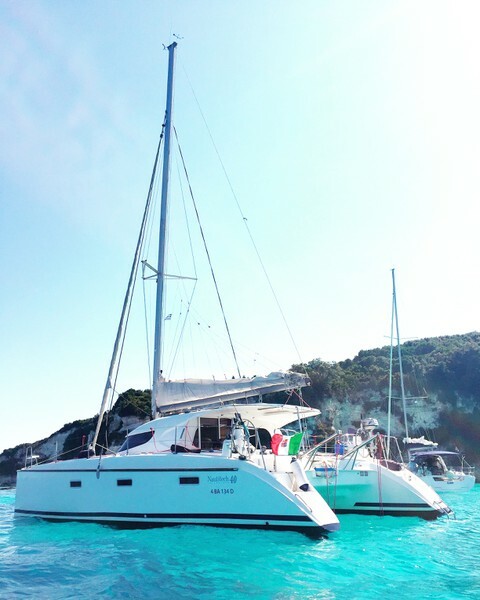 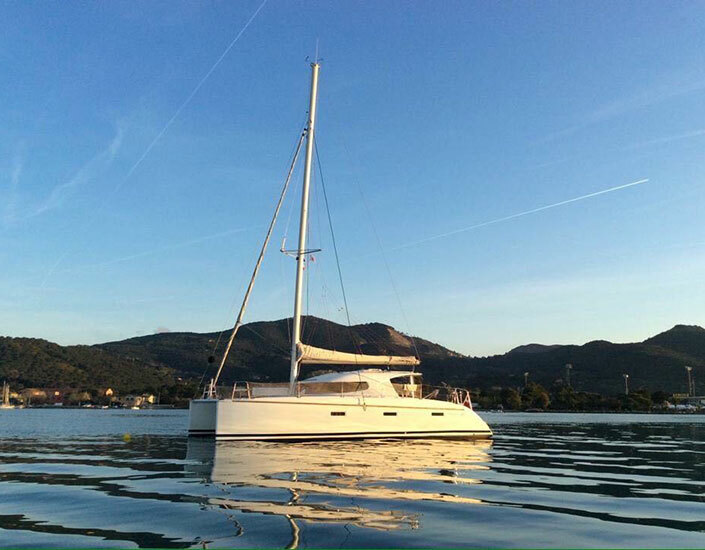 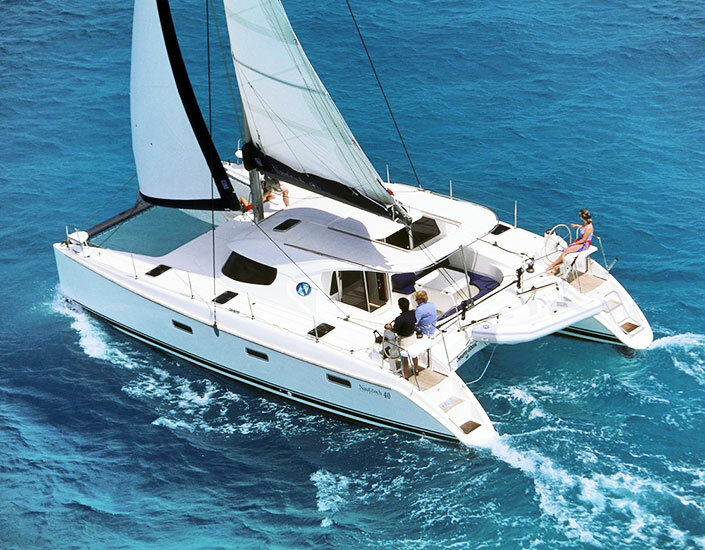 The Nautitech 40 sailing catamaran has four comfortable double cabins. 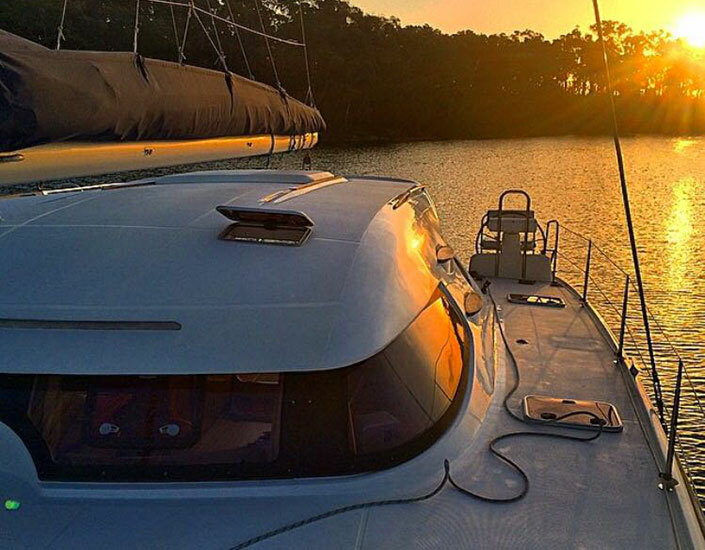 There is one head with a hot and cold water shower located in each hull. 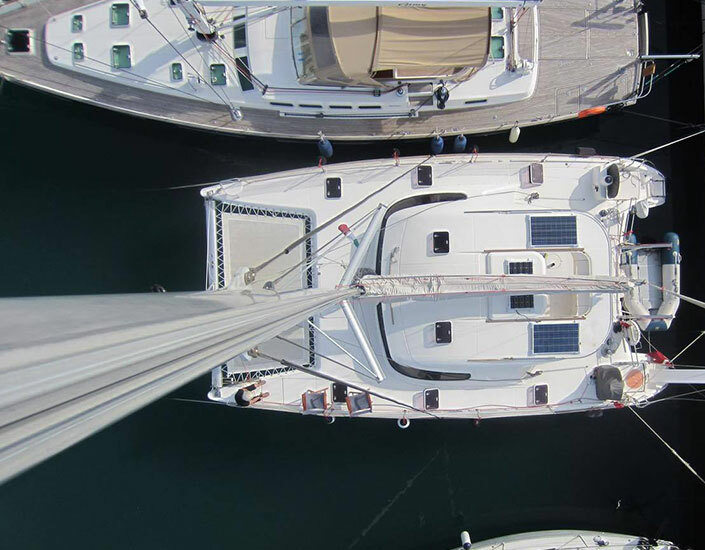 In the forward hulls on each side is an additional single berth. 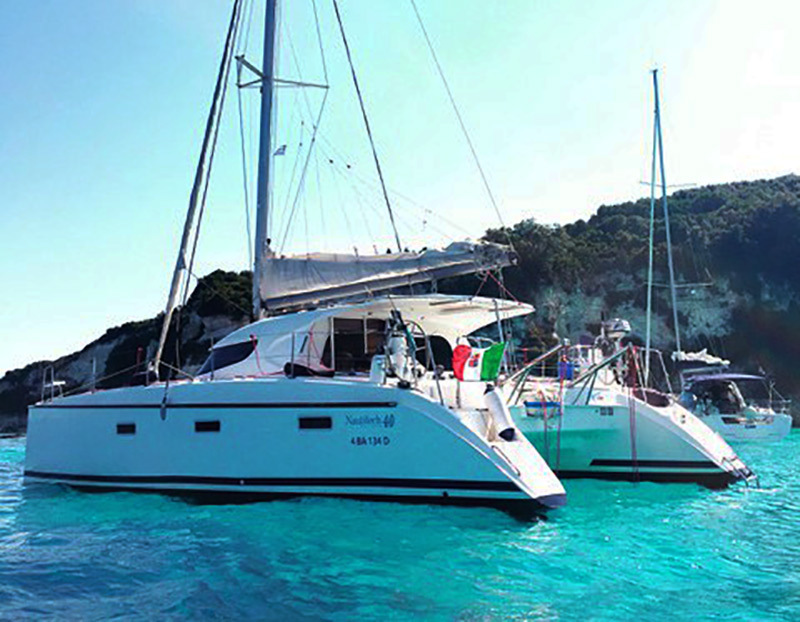 In total the Nautitech 40 sleeps 10 people. 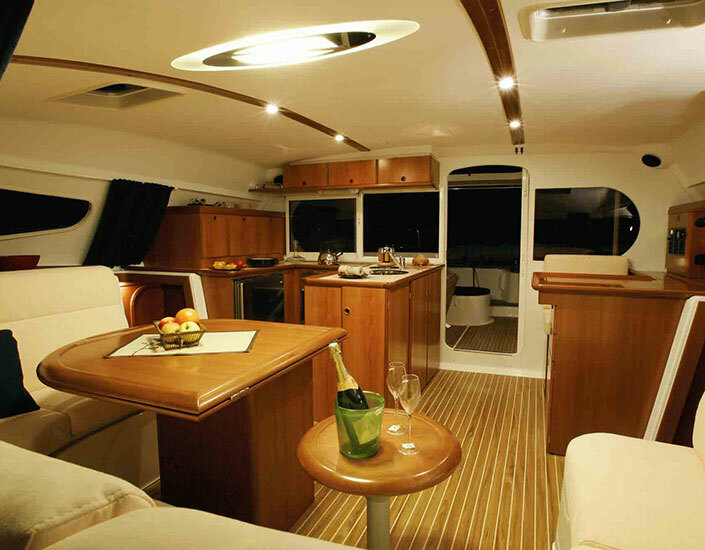 The saloon can also be used for an additional berth if required. 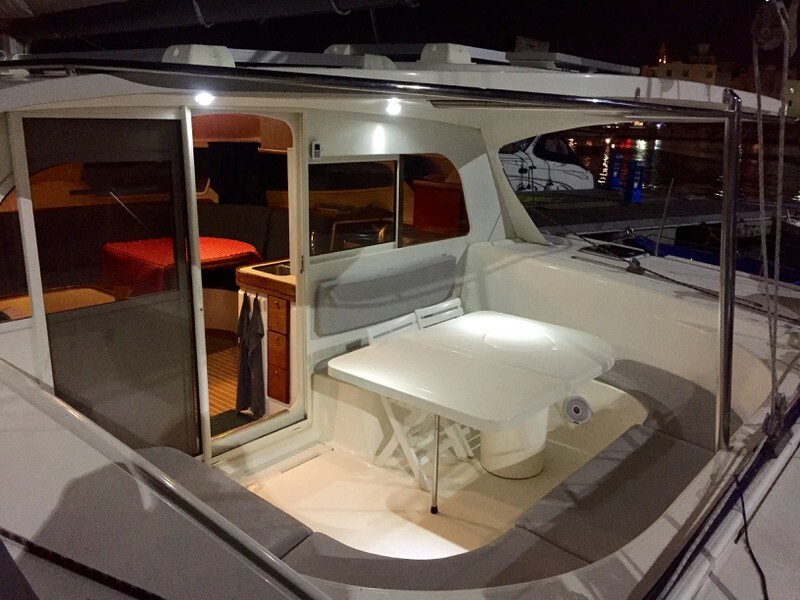 Nautitech 40 is a safe and comfortable boat and is perfect for all.